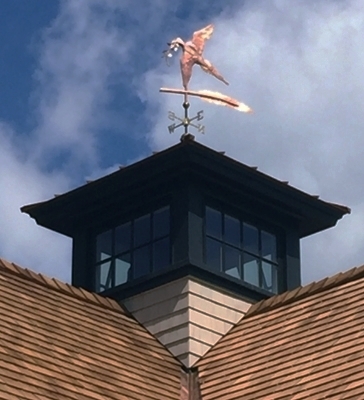 Our Flying Dove of Peace Weathervane was originally commissioned in 1997. 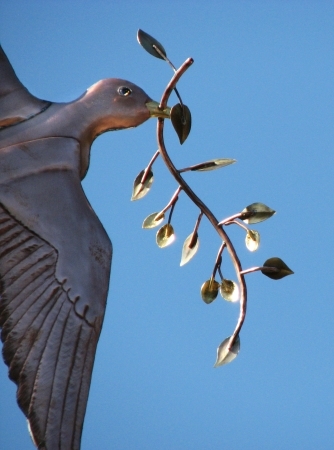 Our customer wanted us to represent the Dove returning to Noah’s Ark with the olive branch to indicate that it had found dry land and their time of trial was coming to an end. 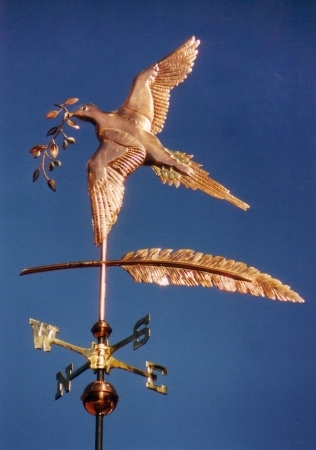 This same Dove of Peace Weathervane also appears on our Noah’s Ark Weathervane. 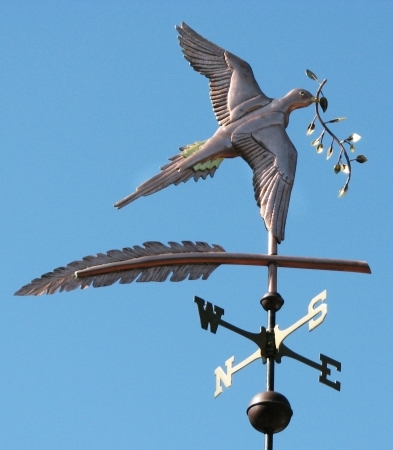 We have made a number of these weathervanes in various sizes over the years. 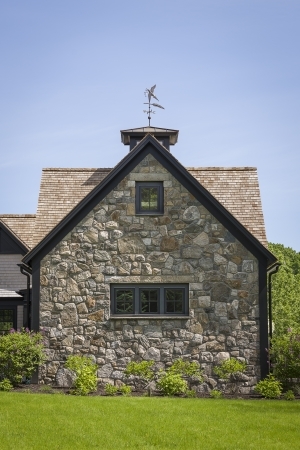 A memorable one was made one for a church retreat center but they are also popular for individual residences. 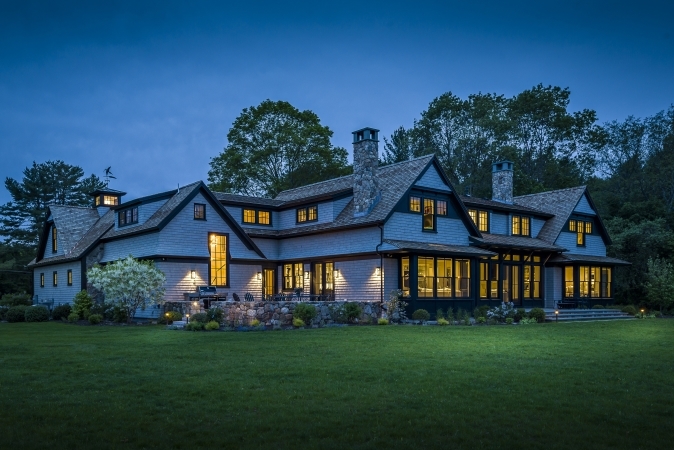 The smaller sizes are popular in garden settings. 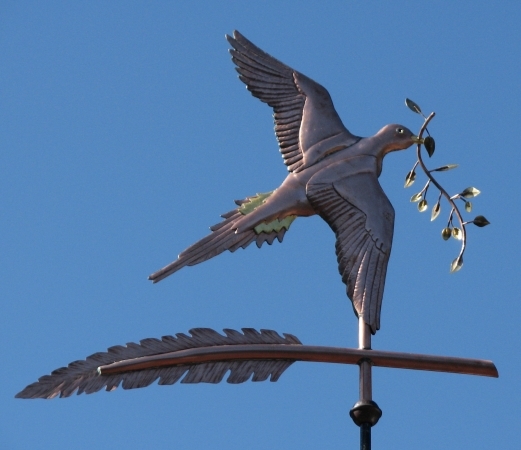 A large version of our Flying Dove Weathervane resides in New South Wales, Australia. 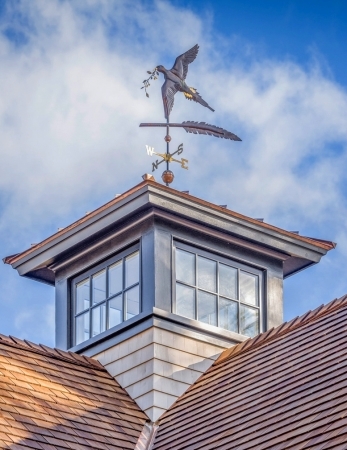 This vane is well suited to gardens, sanctuaries, and gazebos as well as roof tops. 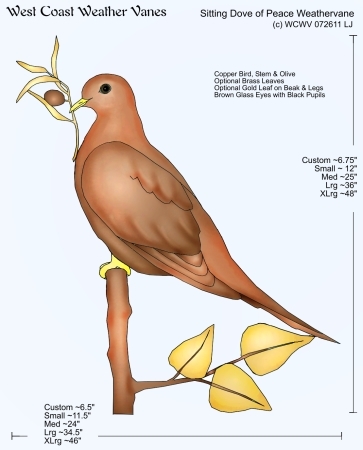 It is crafted primarily of copper in swell bodied style and has additional brass detail in a layer of tail feathers. It also has dark glass eyes in the picture here, but the eye color is chosen when completing the order. The high level of detail in the feathers is rendered by using individually specialized hammers that each of our artisans has specially designed for their own use. The reason these hammers are so personal is the nuanced way of striking the metal is surprisingly different from person to person. 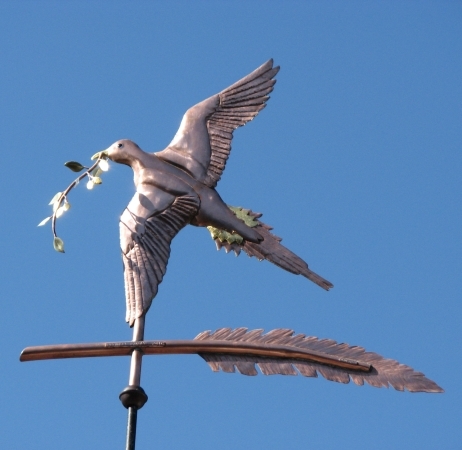 We also have a Sitting Dove of Peace Weathervane design you might like. This lovely piece can be personalized by removing the olive branch, or replacing it with a plant you prefer. Another change could be changing the feather for the more traditional arrow, or something increasingly detailed like a bar with some tree silhouettes depicting the ground below. These personalizing touches can make it truly ‘yours’.